Working with Elizabeth has completely changed my life, and I don't say that lightly. I am a stay-at-home mom to two boys and I had fallen deep into the "I don't have time for myself" trap like so many other moms. I tried everything under the sun from keto to shakes to veganism, but nothing seemed to work with my specific needs and I would always fall off the wagon and back into my old habits. Finally, after watching Elizabeth's posts for a few months, I decided to contact her to learn more about her program. 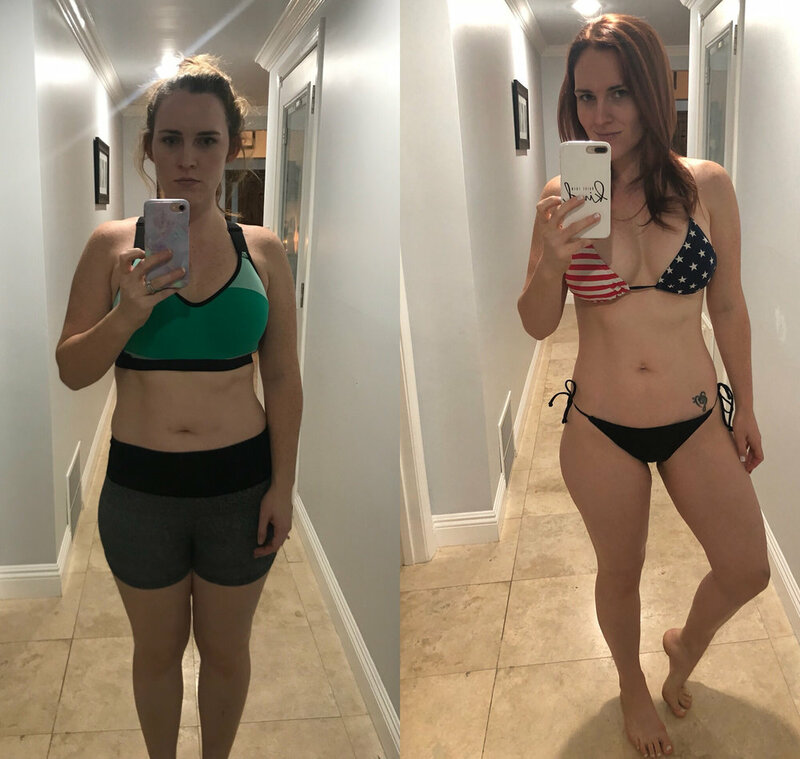 I started Body Bloom in January of 2018 and it was hands down, the best decision I have ever made for myself. Elizabeth is knowledgable, encouraging, and intentional. She doesn't just hand you a pre-designed program and say, "There you go!" She fully customizes everything to your specific needs and explains it all to you along the way. The difference between Elizabeth and any other trainer I've ever met is that she doesn't just care about your physical health, she cares about your mental health as well. The weekly check-ins with her have become one of the highlights of my entire week. I love that Body Bloom reaches beyond the typical health and fitness module and includes what's happening on the inside as well. Elizabeth has taught me to value myself and that making time for self care is vital in achieving overall health and wellness. I've lost 15 pounds and inches all over, but what is even more remarkable is what I have gained. I have muscle and tone like never before, and a newfound love and respect for myself. The principles and practices applied from Body Bloom have made me a better wife, mother, and person. I have more patience, I am more mindful of my needs, and because I take time for myself, I no longer get burnt out and I feel like I have so much more of myself to give to my children. I tell everyone I can about Body Bloom because like I said, it has completely transformed my life and I am forever grateful to Elizabeth for creating such a revolutionary program. If you want results then go with Body Bloom. The techniques are individually tailored and the results make it all worth the effort. You go in already familiar with your body's limitations but Body Bloom reveals how capable you truly are. I've gained muscle mass, feel lighter when I walk/go up flights of stairs, and feel less achey in parts of my body that normally hold tension. My energy throughout the day is more sustained and I experience less of a crash during the mid-day slump. I crave nutritious food and my body definition is more chiseled. I found myself hitting a wall in my aerial dance training, mostly strength being a huge factor for specific inversions. Before Body Bloom I found it difficult to lift myself easily, relying mostly on momentum to get to where I needed to go. Walking and stairs winded me easily, admittedly. I've had a much easier time inverting in my aerial classes, now able to lift myself easily on and off of the apparatus! Additionally, I've fallen in love with weightlifting and gasp going to the gym! My results have happened so quickly, I feel noticably stronger, and visibly more chiseled. I love wearing my clothes again and have fallen in love with my health. I recommend going with Body Bloom because the attention to your individual needs will take you further than if you were to train on your own, or in a group class. She is communicative, friendly, and insightful, all very important character traits to have when you're putting yourself out there to get to the next level in your fitness.